In early July each year a small group of DOC workers head out to Rangatira or South East Island in the Chatham’s to undertake end of season work on the Chatham petrel burrows. This year we decided to give Chatham Island school children an opportunity to join us and experience the magic of Rangatira. 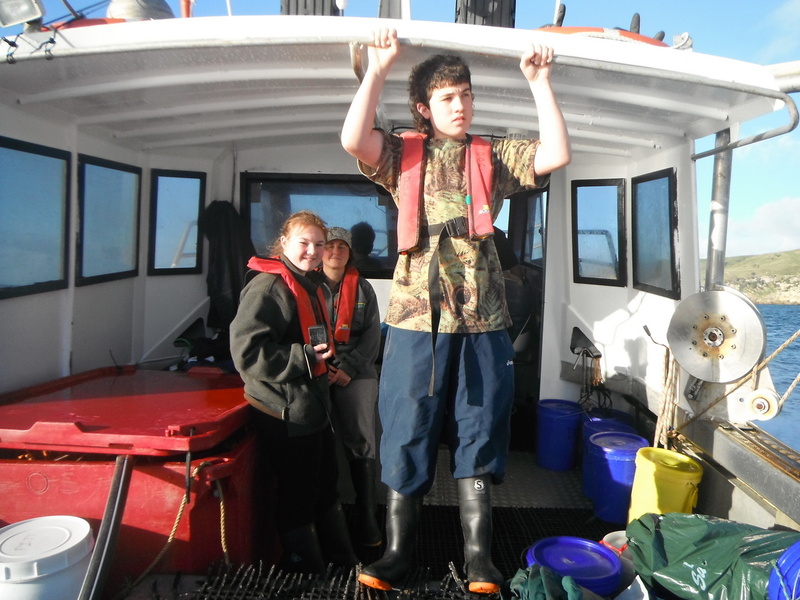 We were joined by Year 11 Correspondence School students Harriet Graydon and Mia Foley, both of Pitt Island, along with Chatham Islander Jacob Hill, a Year 12 student at St Bedes College, for the 4-day trip. After completing quarantine procedures designed to keep the islands pest-free, we caught an early morning fishing-boat ride from the main island to Pitt, to pick up Mia and Harriet. After a brief stop and exchange of mail and supplies, we departed for the forty minute trip to Rangatira. No jetty means a bow landing on the rock platform and a frantic passing ashore of the buckets containing our food and gear, but the team handled it flawlessly. As soon as we were ashore we bumped into our first special species, the shore plover. Once abundant around the coasts of New Zealand, this plucky little shorebird was eradicated by rats and survived only on Rangatira. Fortunately, it has now been returned to several mainland sites. 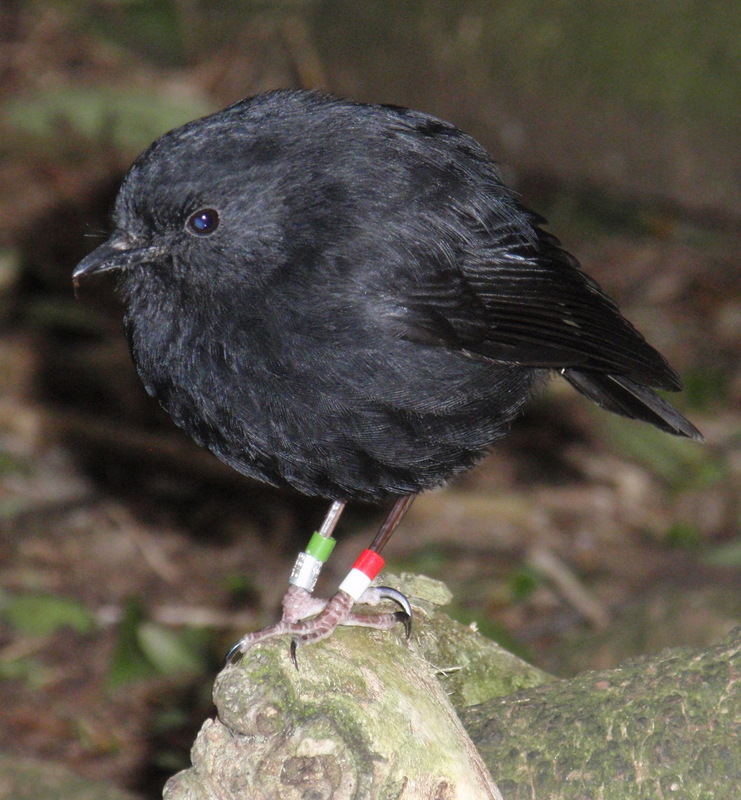 While hauling the buckets up to the hut we bumped into our next special resident – the black robin. With around 200 birds, Rangatira is the stronghold for the species and over the next few days we got to see quite a few as they jumped out of the forest at us in anticipation of a mealworm handout. 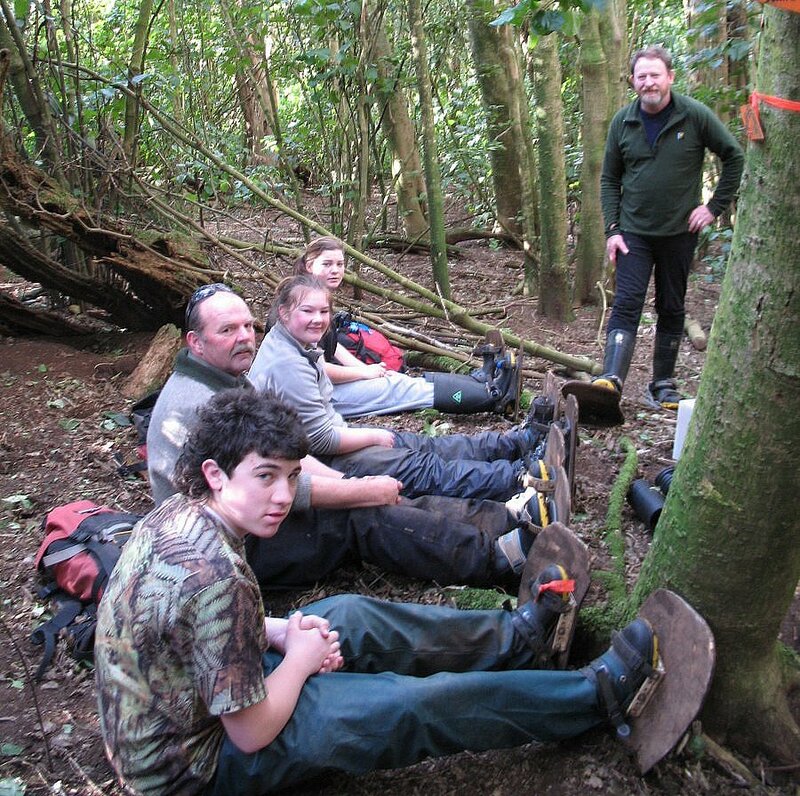 After settling in we fitted everyone out with petrel boards – special footwear designed to prevent us collapsing seabird burrows as we walked around the island. 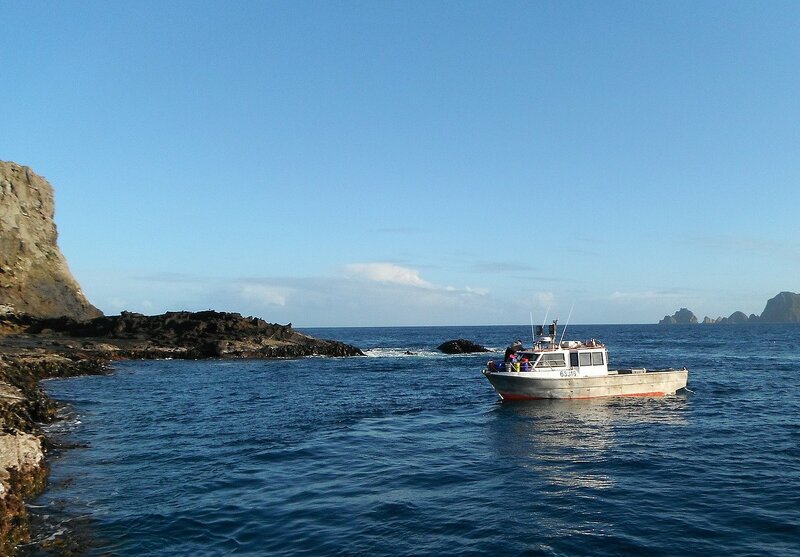 We then set off on our main task, checking 250 burrows of the endangered Chatham Island petrel. After checking that this years chicks had successfully fledged (and unfortunately a few didn’t), we did a bit of housekeeping and then put a barricade in front of the entrance to stop other seabirds taking up residence while the petrels are away over the winter. While wandering around the forest for a few days we got the opportunity to see more island residents – including the Chatham Island species of snipe, parakeets, tui, tomtit, warbler and skink. On our first night we hoped to introduce the visitors to the many seabirds and abundant invertebrates that call the island home. Unfortunately, the great weather and full moon kept all the seabirds at sea so we had to be content listening to blue penguins braying in the forest. All too soon it was time to pack up, lug the gear back to the landing and await the arrival of our ride. Our skipper Glen King treated us to the scenic route on the way home, travelling around the bottom and up the western side of Pitt Island, taking in views of Mangere and Little Mangere Islands on the way as well as taking us into an impressive sea cave. 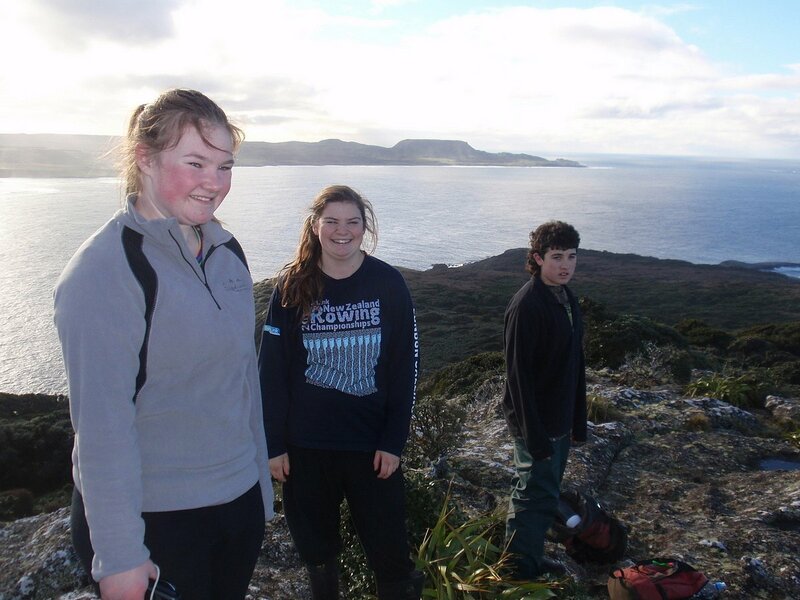 Harriet, Mia and Jacob enjoying the view from the summit of Rangatira. Mia and Harriet’s families were waiting on the wharf at Flowerpot when we arrived, glad to see their kids home safe and just a bit jealous of the experience. Jacob had to endure another hour-long crossing of Pitt Strait before he could head home, but the experience can’t have been to bad as he wants to come back when we open up the petrel burrows again in November. I think he’ll have some competition, as the girls want to go too. I've been working for DOC for some 25 years, most of which has been in Otago. In recent years I've migrated to north to Wellington and now Auckland. 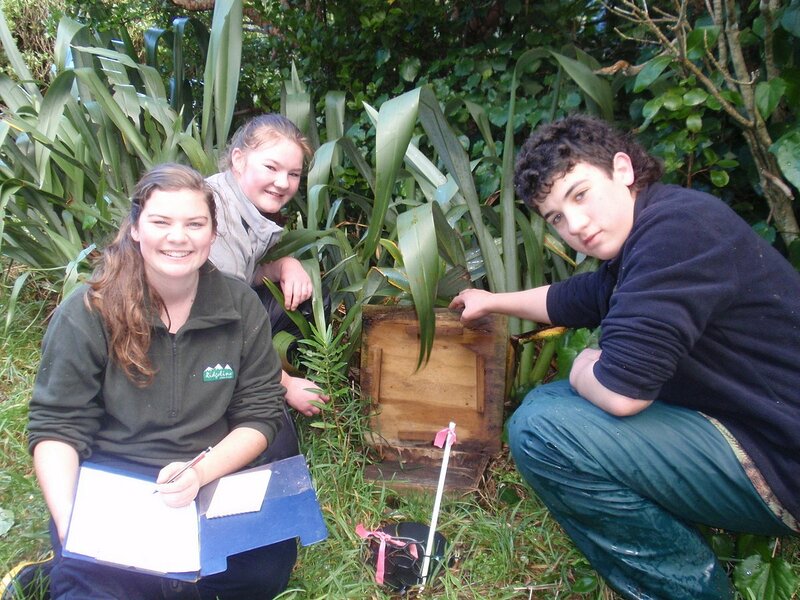 My current role is to provide technical advice and support on biodiversity management to the great team out on the Chatham Islands. I sometimes sneak off to do a spot of penguin work elsewhere so I might blog about that too.